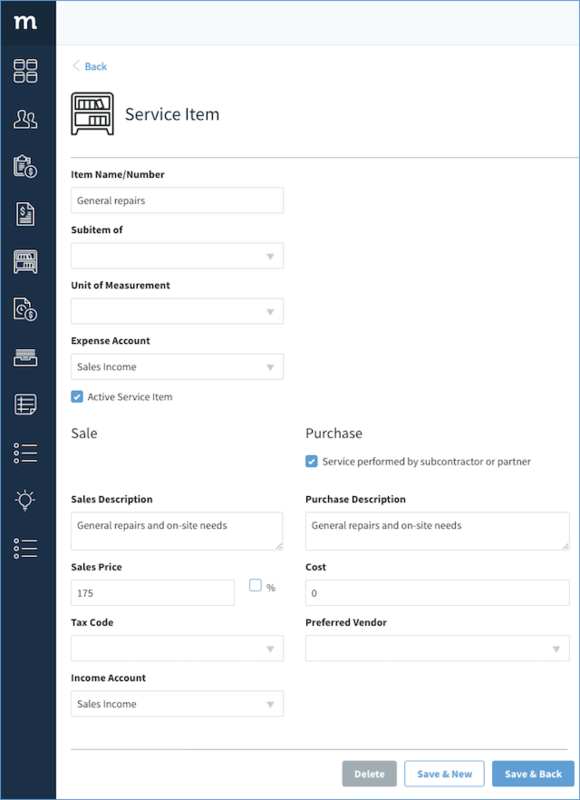 The Items App gives Method users the ability to create items that are synced to QuickBooks. You can also edit existing items, changing prices, units of measurement, and applicable accounts, all without leaving the Method environment. These items can be assigned to transactions in Method, and will be saved in QuickBooks along with the transaction when you sync.